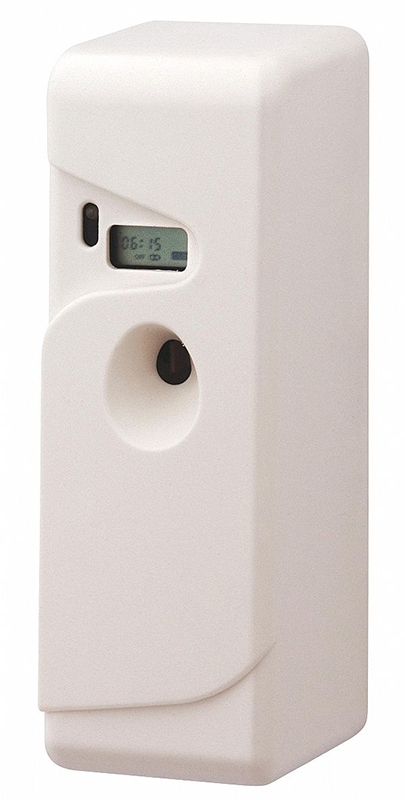 Slimline air freshener dispenser automatically sprays at preset interval to guarantee a pleasant odour in washrooms and other public areas. Timer and light sensor models. Low-cost, low maintenance air freshener dispenser. It also suits Pysect natural pyrethrum insecticide. This quality Air Freshener and Insecticide Dispenser delivers great added value for a cheap price. 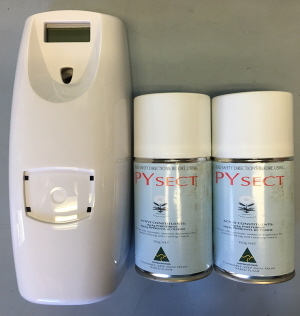 Pysect Insect Control for use with automatic metered dispensers for control of flying and crawling insects.